The libertarian message of limited government generally is not warmly received in Washington because politicians, bureaucrats, cronyists, lobbyists, contractors, and other insiders profit from the status quo. But what about folks in the real world? Do the folks from “outside the beltway” believe in smaller government? As a general rule, I think ordinary people are sympathetic to limited government, particularly if you have a chance to dispassionately explain how nations with good policy routinely out-perform countries with bad policy. Even though no company would want to harm its customers, some people think health and safety would be greatly imperiled without government regulation. Other people think that free trade is bad, even though protectionism has a horrible track record of harming consumers and undermining prosperity. Some folks believe we can’t get rid of subsidies for health care and education, even though the evidence is overwhelming that such policies increase prices. Today, I want to add to that list. When discussing the merits of government intervention, there are people who generally believe in markets, but nonetheless argue that we need antitrust laws to protect consumers from avaricious companies. I agree that businesses are looking to maximize profits, but I disagree with the notion that this puts consumers in peril. In a free-market economy, businesses can get money only by providing goods and services that are valued by consumers. Indeed, consumers are only in danger when government puts its thumb on the scale with handouts, subsidies, restrictions, bailouts, regulations, licensing, mandates, and other forms of intervention. Because when government rigs the market and hinders competition, that’s when consumers can get exploited. Moreover, to the extent we have monopolies in America, it’s because of government. Just think of the Postal Service. Or Social Security. Or the air traffic control system. Those are all things that should be handled by the private sector, but they exist because of government coercion. Now that we’ve reviewed the theoretical argument, let’s look at how antitrust laws are grossly inconsistent in practice. Professor Mark Perry of the American Enterprise Institute pointed out that it’s possible for companies to get in trouble with antitrust bureaucrats regardless of the prices they charge. If your company’s prices are too close to the same as your competitors’ prices, government bureaucrats will come after you and charge you with price-fixing and collusion as 35 auto parts manufacturers found out recently… If your company’s prices are too high, government bureaucrats will come after you and charge you with price-gouging, as five airlines found out recently… And finally, if your company’s prices are too low, government bureaucrats will come after you and charge you with predatory pricing or selling products below cost, as the grocery chain Meijer found out recently after opening stores in Wisconsin. Now put yourself in the position of a pricing manager at a company. What are you supposed to do if bureaucrats can come after you no matter what price you charge?!? This makes no sense. And it sparked my memory. 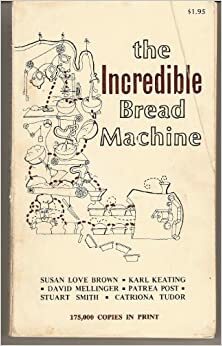 Back when I was a college student in the 1970s and first learning about free markets, I remember coming across a short film, The Incredible Bread Machine, that argued in favor of economic liberty. And that’s when the antitrust bureaucrats got involved. Here’s the relevant section of the poem, and you’ll notice that 1970s satire is eerily similar to today’s antitrust reality. At what it found was going on. No rule of law had he defied. Now, let me state the present rules. Here’s the 1975 film version of the Incredible Bread Machine. The poem begins shortly after 30:00, though I suggest watching the whole video for its historical value, as well as the commentary at the end by Milton Friedman. P.S. On another topic, I can’t resist sharing this man-bites-dog passage from a recent editorial in the New York Times. …the next government will have to do more to make the country more productive, and that includes…cutting pensions, streamlining regulations, privatizing state-owned businesses. No, this isn’t a joke. The NYT actually endorsed pro-market reforms to shrink the size and scope of government. The bad news is that the editorial was about Greece rather than United States. But at least there’s hope that the editors are becoming more rational, particularly when you also consider that the New York Times recently published columns showing the superiority of funded pension systems over tax-and-transfer programs like Social Security and revealing that feminist-supported government intervention in labor markets hurts intended beneficiaries. To be sure, a few good pieces hardly offset the NYT‘s long track record of economic illiteracy, but a journey of a thousand miles begins with a first step. The New York Times is the “paper of record”. Record liberal BS. Like 2500 years ago, Greece is leading the western world. Western world voter-lemmings think that Greece is a backwards nation. They are actually ahead. Mired in growth that cannot even match half the world growth trendline, it won’t be long until most western world voter-lemmings start voting like the Greeks.